in synthesizer history! Let’s turn back time and see the Minimoog floating in. Small, monophonic synths are getting affordable, just like the Mini, the ARP Odyssey and many others. Duophonic keyboards still are not really polyphonic, as they usually simply share oscillators between two voices. 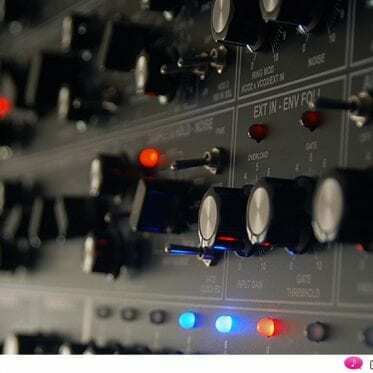 But well, “polyphonic” is in the air – in 1975 Oberheim’s SEM-philosophy offers in some way true polyphony by linking several synthesizer modules together. But 4/6/8 voice machines were not cheap, nor simple to use. 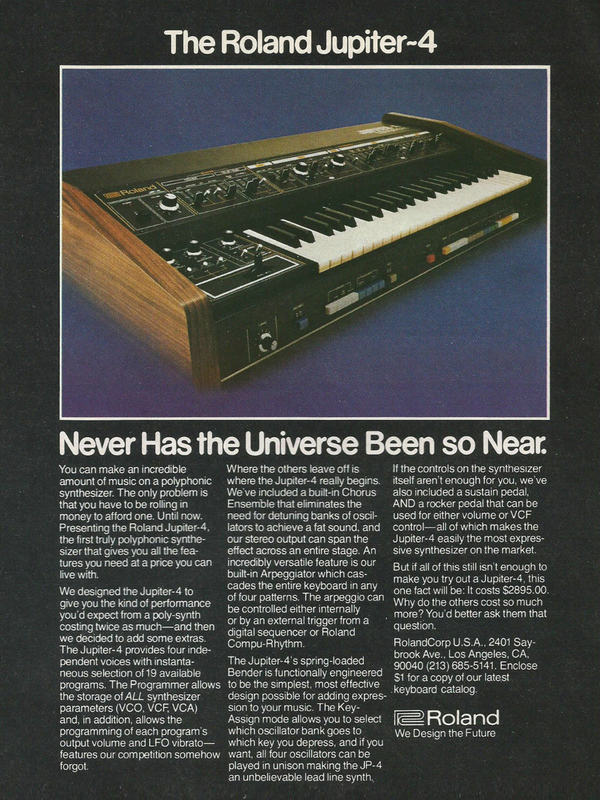 In 1978, Sequential’s Prophet-5 finally made the breakthrough. 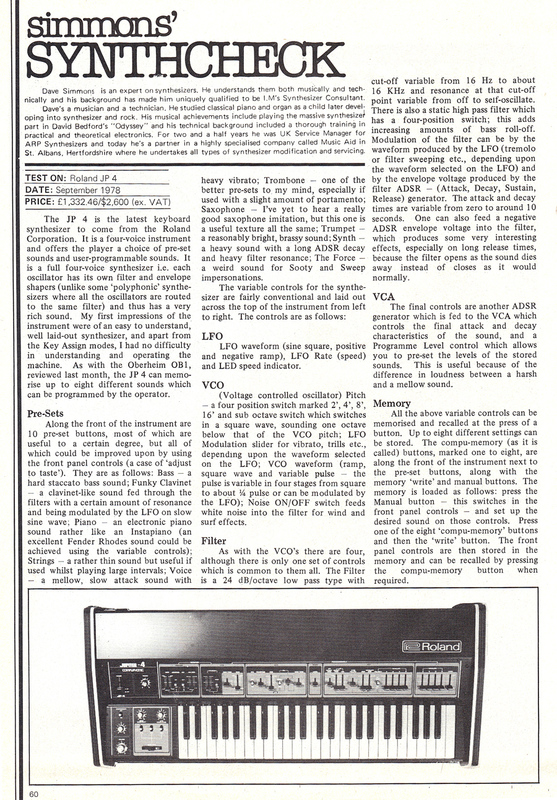 Oberheim’s answer – the OB-X – was an equally well-specified programmable polyphonic instrument. But not too many musicians could afford these machines, let apart those huge synthesizers like Polymoog or Yamaha CS-80. 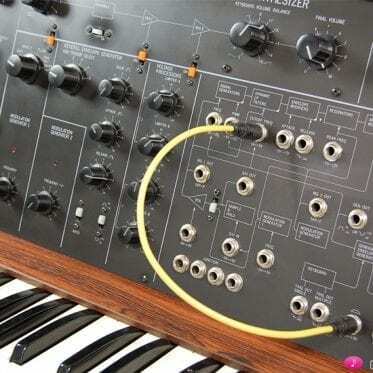 It was the perfect time for the first Jupiter synthesizer to hit the market. A four voice programmable instrument with presets, memories, chorus and even an arpeggiator at the price of a Minimoog. That’s my personal Jupiter-4 story. From the first moment on I was totally amazed by the Jupiter-4 power. The fast envelopes sound soooo groovy, the single VCO is extremely meaty. The VCF is – more like on a MS-20 – very dirty at high resonance settings, and the LFO especially is unique within the whole Jupiter-line. 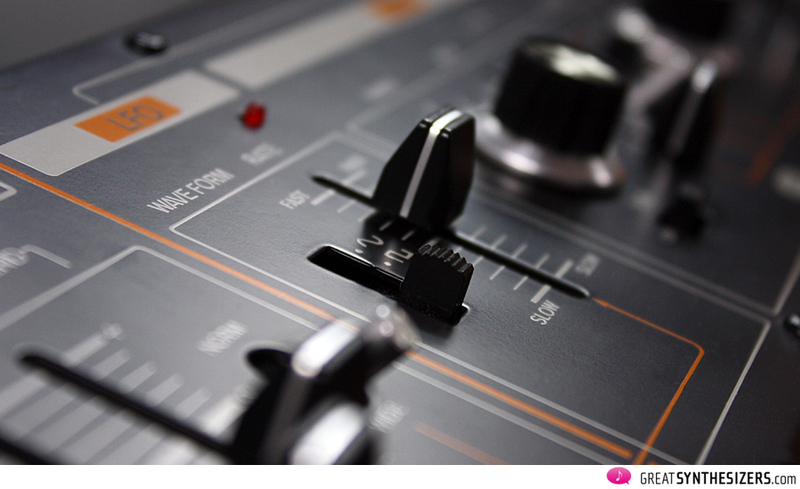 All in all it’s full of character, a dry – but at the same time funky – analog sound. In the meantime there were other Jupiters in my studio: twice the Jupiter-8, once the MKS-80 and at the moment it’s the Jupiter-6. None of them offers that meaty, dry analog power. But don’t get me wrong: it is NOT the perfect synthesizer, not at all. Working with the Jupiter-4 is very strenious and costs some nervs. Simply, because it’s a real beast. It has its own soul and what you’re doing the whole day is trying to tame it. There are glorifying musical experiences on the one side, but frustration and desperation on the other side. Welcome to the world of the Jupiter-4. 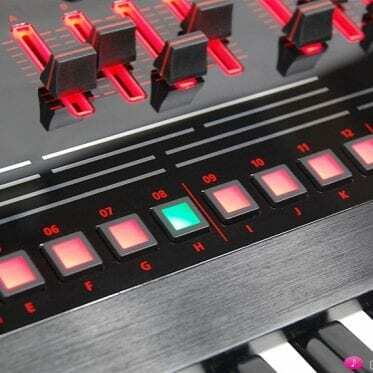 Mad people call the Jupiter-4 a “polyphonic upgraded SH synth”. Well, in fact that might be true. At least the typical VCO/SubOsc combination reminds of SH-1/2/09. But let’s have a detailled look at the features. 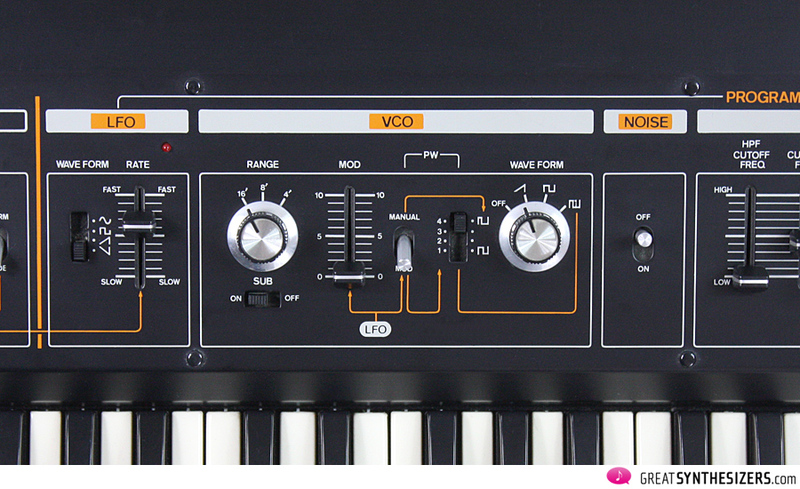 Regarding its voice architecture, the Jupiter-4 is the only Jupiter synthesizer with a single VCO per voice. All other Jupiters offer two fully equipped VCOs. 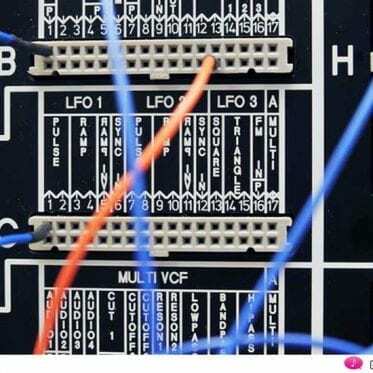 The onboard VCO/SubOsc philosophy was picked up by Roland again in the early 80ies with the introduction of Juno-6/60 and Juno-106. But somehow these instruments sound more like 2-oscillator-synthesizers (probably thanks to mixable waveforms), whereas the Jupiter-4 sounds clearly like a 1 VCO-per-voice instrument. Quite thin at times! That’s not really bad, and I guess it’s even part of the instrument’s individual character. The filter is a real highlight! It’s very powerful and more aggressive than other Jupiter filters – thanks to that raw and almost uncontrollable filter resonance. Last but not least: Jupiter-4 envelopes are extremely fast. 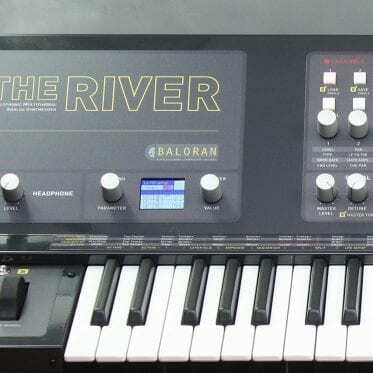 Again I believe they are the best of all Jupiter synthesizers (even better than those of the Jupiter-8). 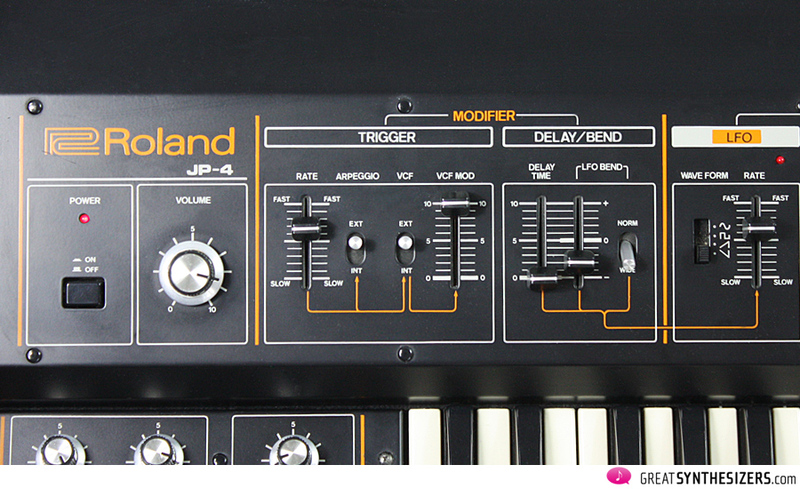 First, the JUP4 has no MIDI (and no CV/Gate), and only few Jupiter-4 have be retro-fitted. Anyway, no studio purchases an instrument without MIDI or CV/Gate. Sure, a CV/Gate upgrade shouldn’t be a problem (I’m NO technician, but that’s what people say). Therefore I wonder why only a few Jupiter-4 instruments got the CV/Gate modification – like the instrument Rüdiger Lorenz had. That’s beyond me, as I would love to control all four voices of the Jupiter independantly by an analog sequencer (or via MIDI-CV/Gate by computer). 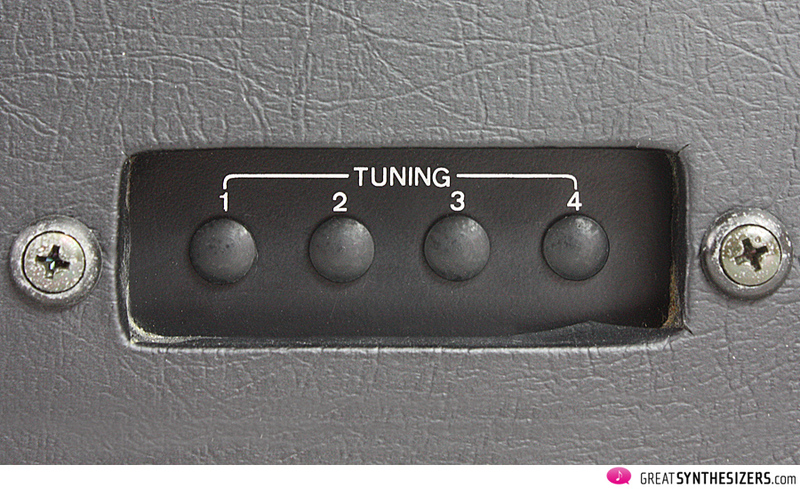 Third, its voices are out-of-tune regularly. Best to have a screwdriver right next to the synths. Fourth, the JUP4 is NOT a beautiful looking instrument. It’s quite the opposite, to be exact. The ugly ducking, as mentioned. A Jupiter-4 doesn’t look funky enough, instead it reminds of an home organ (especially because of the strong wooden side bars and the old-styled silly-coloured push buttons beneath the keyboard). Fact is, the Jupiter-4 has not the same Rollce-Royce design as its much-loved big brother Jupiter-8. But if you’re clever and know about the sonical richness of a Jupiter-4, you go ahead and fetch one on the street. Why? 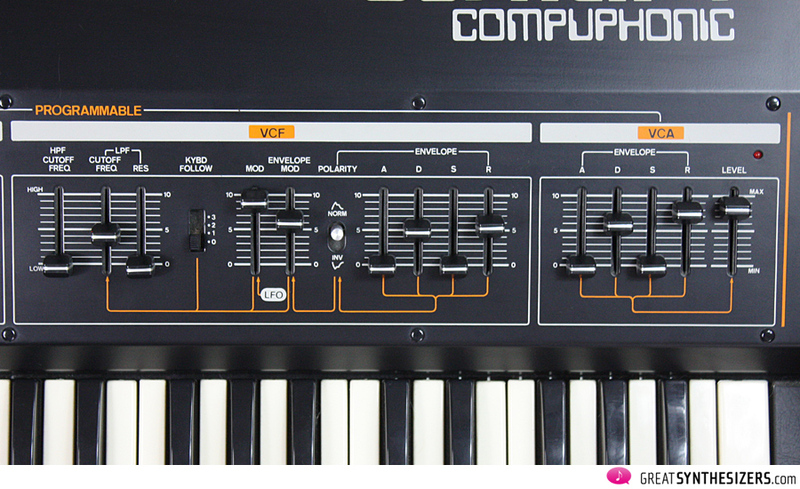 Simply because it’s one of the most distinctive sounding analog synthesizers ever made. I’d rate it within the Top-10 music machines regarding its unique meaty character. 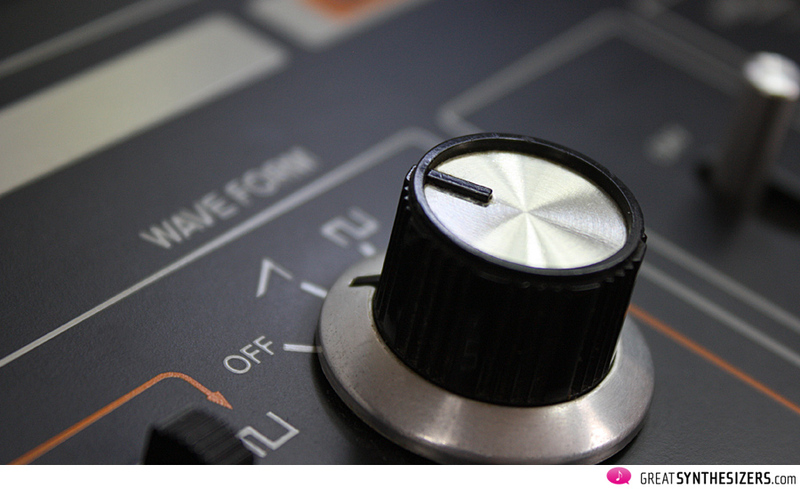 It fits perfect in any experimental sound design, in any rhythmical-orientated music environment. 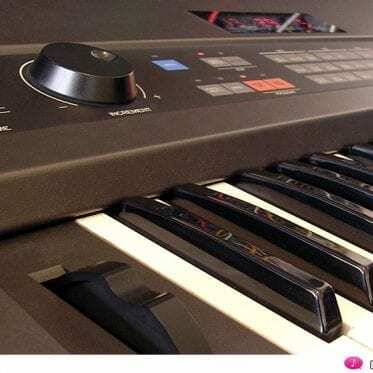 Promars – the monophonic JUP4? 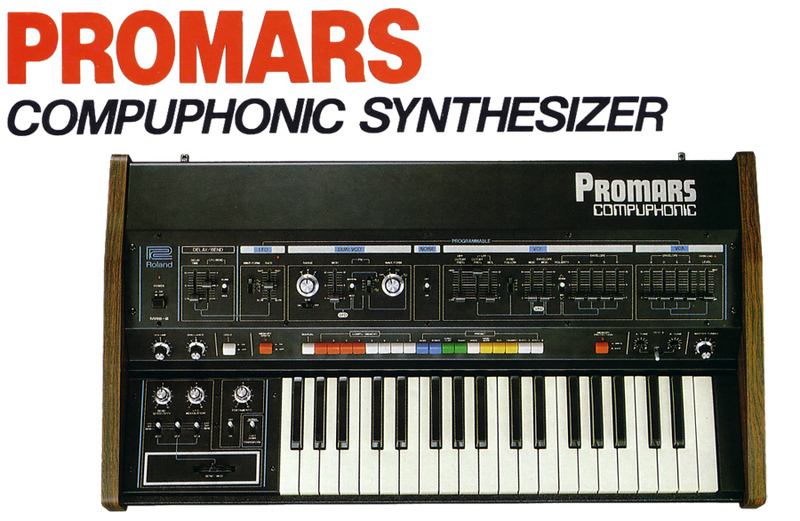 The Roland Promars was my imaginary “dream machine” for many years. As I knew the Jupiter-4 quite well, a monophonic Jup-4 with CV/Gate sounded perfect to me. Well, it’s not. 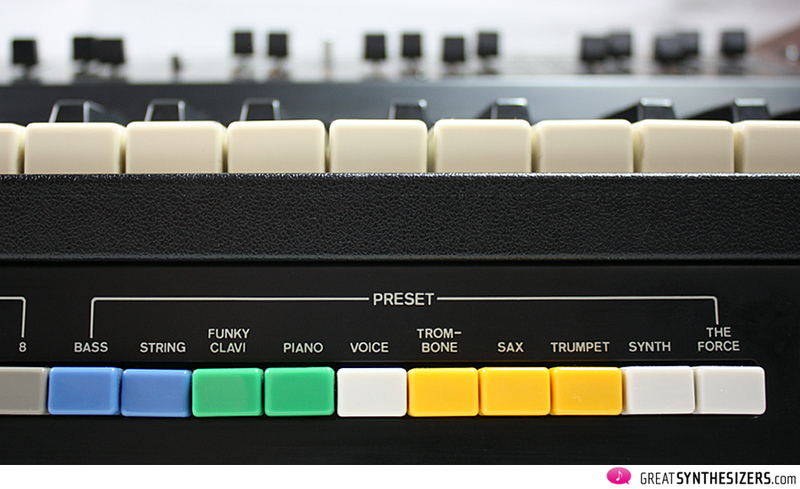 The Promars is no bad synthesizer, not at all. It offers TWO VCOs instead of one. So, bass sounds are more powerful (detuning of both oscillators), and in general tonal character is more “fat”. CV/Gate is a perfect feature, and the additional modulation-in port is brilliant (lets you control all bender-movements via an external CV source – you MUST try that with an analog sequencer, you’ll get stunning grooves). But the chorus is lost (who needs a chorus with two VCOs? ), and therefore the Promars has a simple mono-out jack. 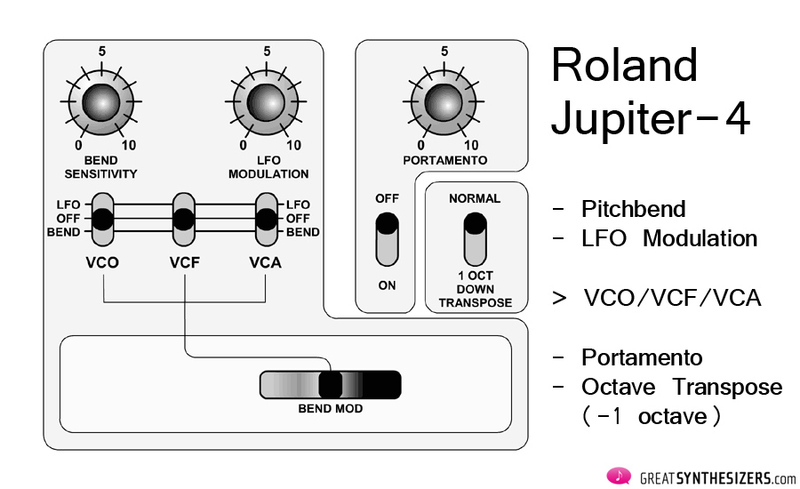 While LFO and filter are identical to teh JUP4, the overall unique Jupiter sound character is somehow lost. Conceptional changes always occur in a different sound. My opinion: the dual-VCO monophonic Promars is quite different from the meaty Jupiter-4 sound character. 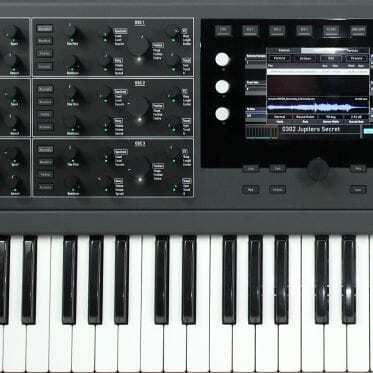 A monophonically played JUP4 – with 4 independet, slightly-out-of-tune, voices – can’t be replaced by a monophonic instrument. Even if the synth architecture of JUP4 and Promars is nearly identical, the muscial results are completely different! It was my mistake to believe in the Promars. Although its factsheet looks convincing (a powerful voice with TWO VCOs, great interfacing, etc. ), it misses the unique sound character one might be looking for. “Fat sounds” are not the only type of audio impression, right? We know those sounds since the early 70ies. Moogs are perfect fat sounding machines, Oberheim- and ARP-synthesizers as well. 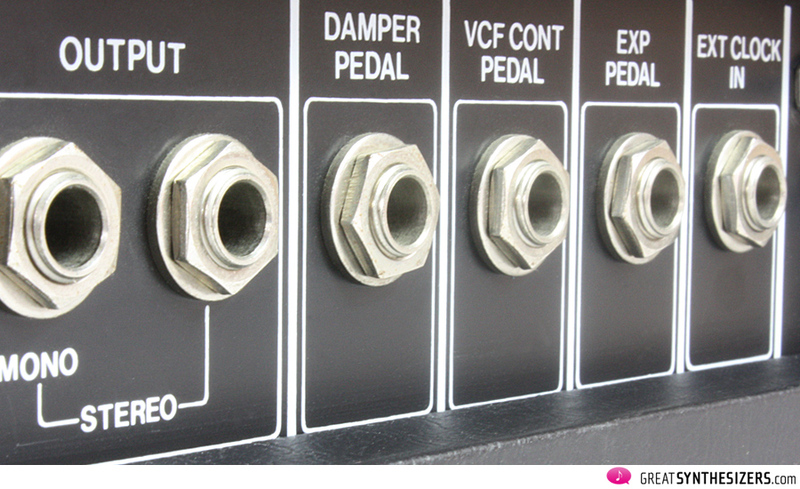 Just listen to a Memorymoog (18-VCO) or Prophet-5 (10-VCO) unison sound – it’ll blow you away! 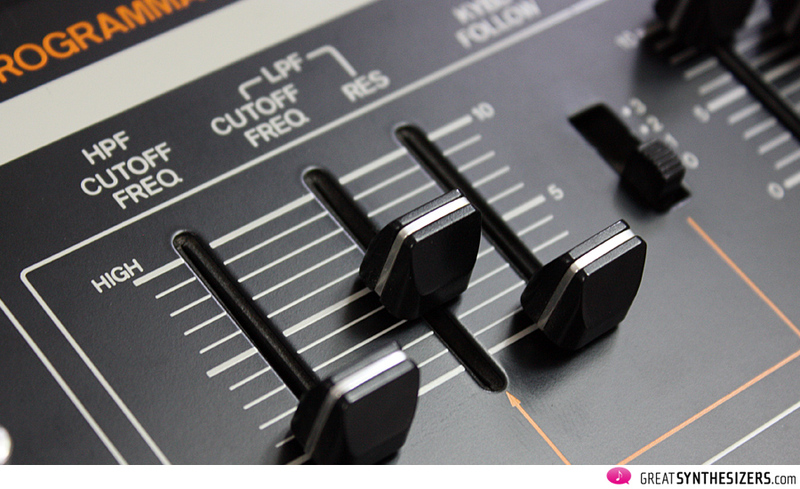 I‘ll make it short: I recommend picking up a Jupiter-4 and modifying it with MIDI or CV/Gate. It’s worth it! Admittedly, the Jupiter can sound terrible, but it shouldn’t take too long to learn how to program it (the Jupiter-4 is no complicating machine). 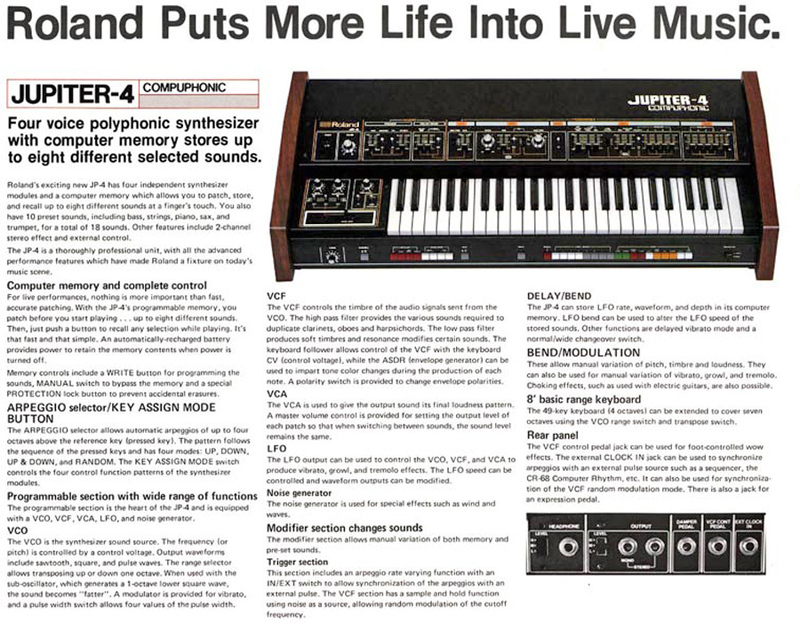 And while all other synths in your setup already sound “fat”, you’re wise and switch the Jupiter-4 to PolyMode to get those meaty, simple, but “human” tone colours. 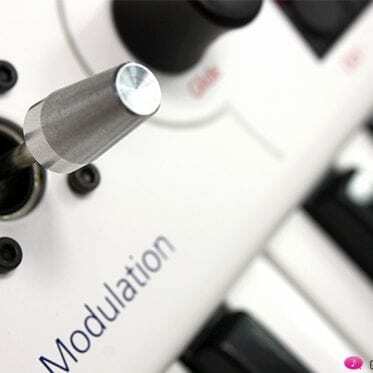 Soon you’ll be quite happy with this great synthesizer. And you’ll never let it go! 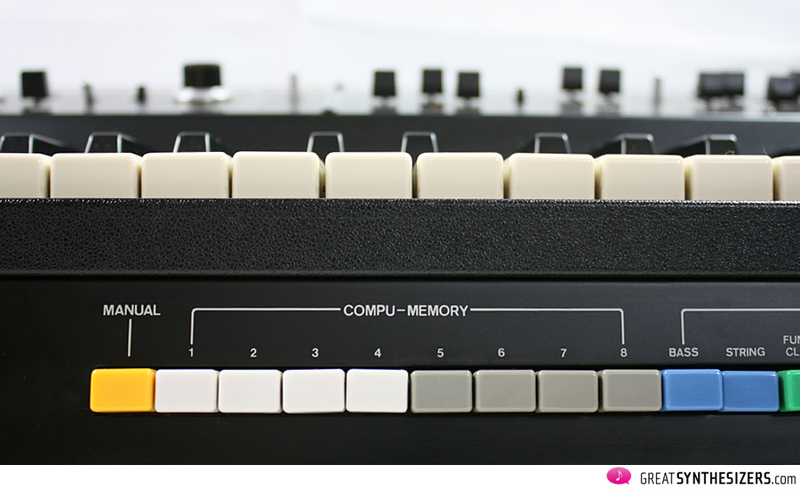 In the public mind, the Jupiter-4 is no classic analog synth. It’s just an anlog polysynth that looks a little stupid. 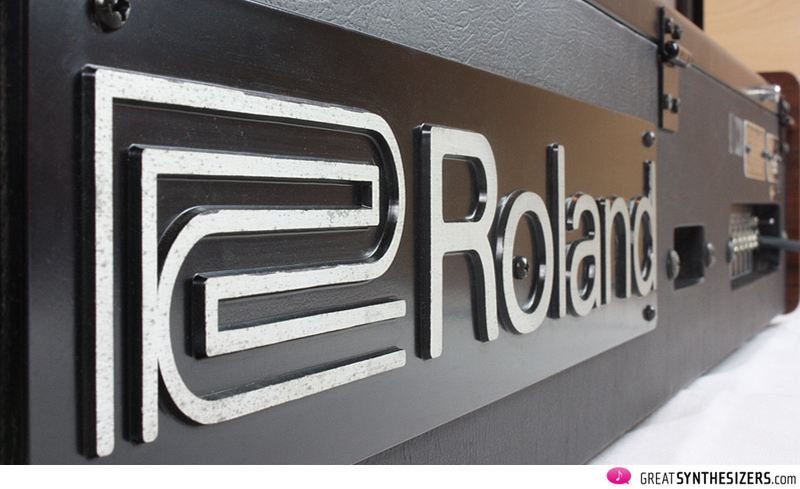 But I think it is one of the most intriguing music instruments Roland ever made. 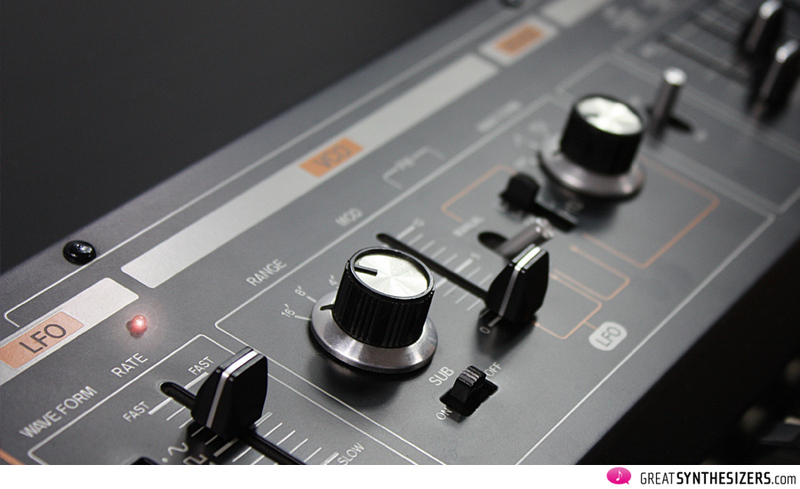 The Jupiter-4 offers a sound character in its own, a sound that many over-the-top-instruments will never reach! Good work Theo! Great review and super demos. 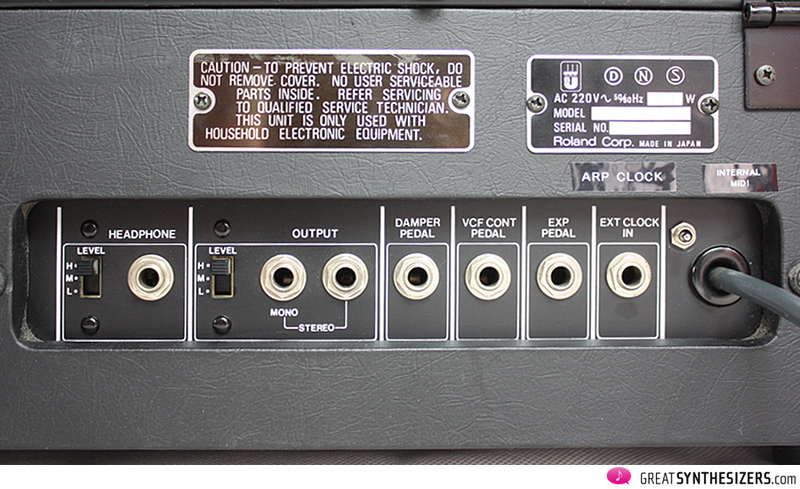 I would recommand Io midi kit that really squeezes out so many additional controls for all of us; mouse clikers. Btw, is your JP early serial with BA662 filters? I couldn’t agree with your comments by the way. “Fat” is far from the whole story. Thanks for the article. You helped me make the decision! I have a JP8, JP6, JP4, Trident, Memorymoog, and a whole bunch of other stuff too, and I’m not sure what you mean when you say the 8 sounds digital lol. It’s the prettiest of the big guys, but still definitely very, very big and analog sounding. It was the height of vco poly achievement, it’s not really fair to compare it to earlier, more unstable designs, it is its own thing. … you’re right. Comparisons are often not very useful (I agree). Well, the Jupiter-8 is, let’s say, “analog, but with major characteristics of the digital area that followed”. Its sound is highly precise and very tight. It has none of the analog imperfections that make Oberheim and Sequential synthesizers so unique. 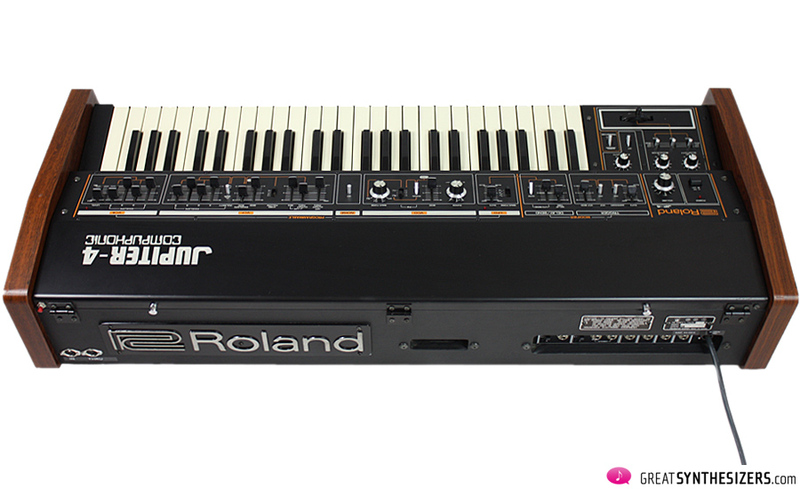 It is far more realiable, a real PRO synth in every sense … with very few inaccuracies. But therefore it misses a strong “own” personality (compared with, let’s say, a Prophet-5, an Oberheim OB-Xa, or a Memorymoog). 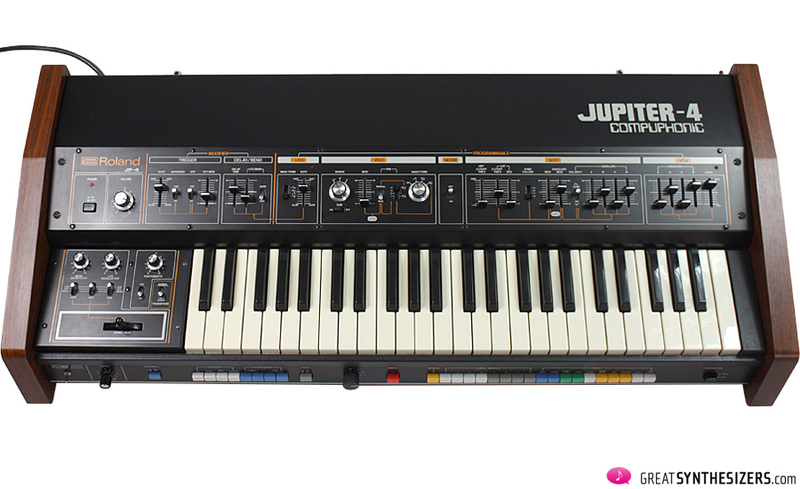 Same with the Jupiter-6 … extremely precise … another PRO synth, but missing the extra extra in character. It’s the Jupiter-4 that offers that wildness and roughness … it’s the most characteristic analog polysynth Roland released, in my opinion. Dood, I absolutely agree. The Jupiter-8 is the must lush-sounding analog of them all. Like present-day analogs (Dave Smith et al) it is much more precise than the other “big guys” and therefore sometimes less “analog”-sounding. But try it in DUAL mode and it brings character like no other. My JUP4 sits right between the Prophet-5 and the Jupiter-8, and believe me, it’s no ugly duckling! … yes, I agree – and I apologize. It “looks” a little old-fashioned, but in fact the Jupiter-4 is unique … one of the best analog synths ever made! Fast envelopes, massive oscillator(s), strong VCF, wide-range LFO … so many goodies! 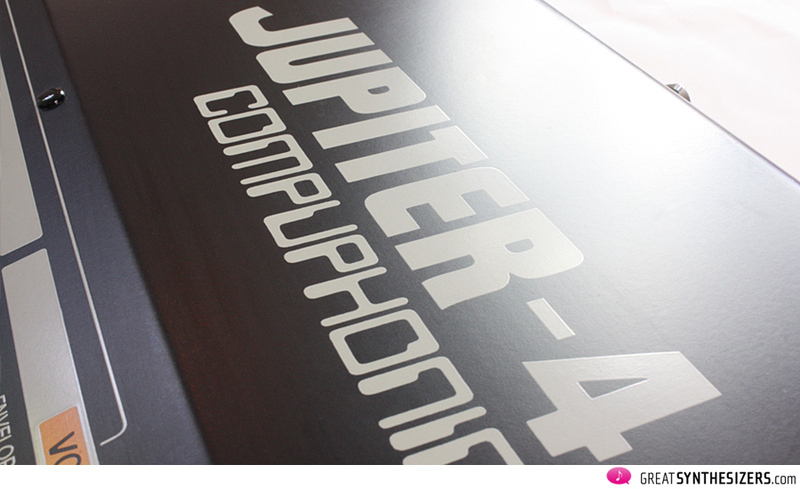 I have 1 of those Jupiter 4 synthesizers which I`m trying to sell. It was my brother`s originally who has passed. I have a fair bit of his equipement, most of which is for sale. I have seen the prices for these machines & am thankfull as I was thinking of asking around £75 each (for this & a casio), with a 3 level stand & some mic stands. Now that I know they are worth a lot more, naturally I`d like a decent price for it. The 1 I have is in a little more tired shape than those I`ve seen here. I plugged it in & the power LED does not come on. I thought it may be completely broken, when a few mins later I noticed another LED come on, (on the LFO section), then fade & go off again. This continued, the LED pulses on & off at the same interval. I have not plugged any amp or anything into it yet, so have not heard it, nor know if any sound will come out of it. Dependant on what is wrong with it, I`m wondering how much it may cost to have it refurbished.? I would like to either refurbish it & sell it for around 2 – 3 grand, or, sell it to someone for around 1 grand for them to then have it refurbished to sell or keep for themselves. Can anyone tell me roughly how much these things cost to refurbish and/or if anyone is interested in buying it. … I think you can ask 1200 – 1400 Euros for a non-working Jupiter-4. 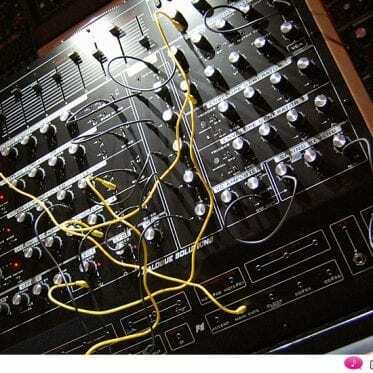 These instruments normally can be fixed (“I” wouldn’t do it if I wasn’t an experienced synth technician, best if a skilled person does the work) … it should be possible to bring a Jupiter-4 back to life for 500-600 Euros, maybe even less. Keeping all the required shipping costs and packing (transportation) in mind, the final price of “close to” 2000 Euros (plus all the work coming with it) seems fair to me. 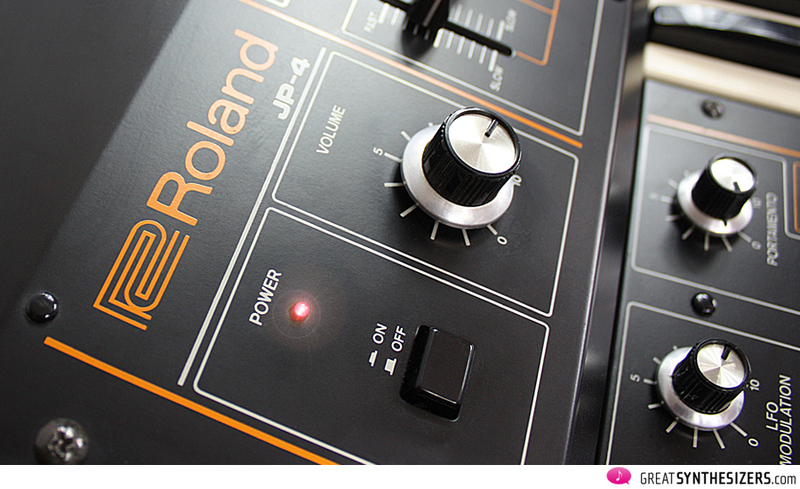 Roland JD-XA – JD of the 21st Century? 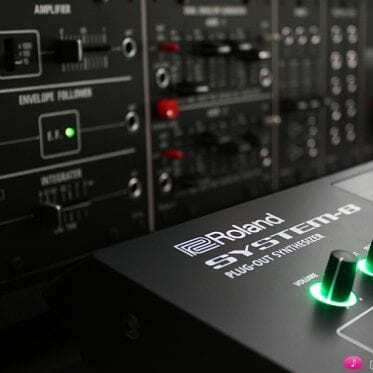 Roland System-8 – historic turning point?